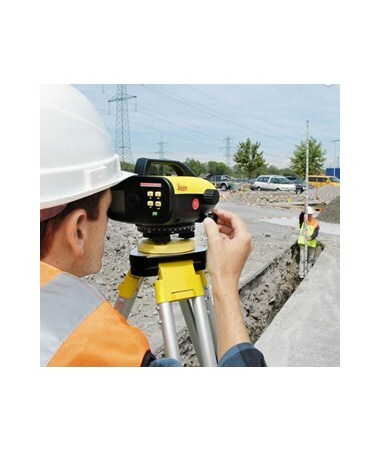 The Leica Sprinter 24x Digital Auto Level is the best tool for almost all construction applications, such as elevation control, stakeout, grade checking, distance measuring and similar jobs. 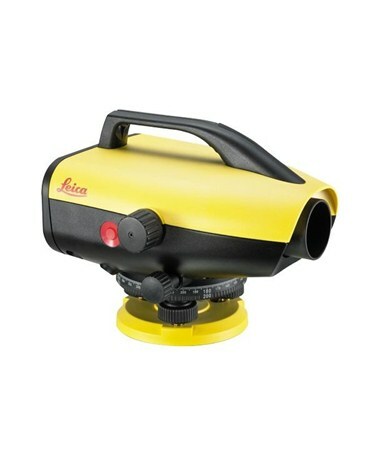 Having a working range of up to 328 feet, the Leica Sprinter auto level can measure with a height accuracy of up to 1/16 inch per kilometer double-run and an approximate 3/8 inch at 33 feet distance accuracy. Plus, it has a 24x magnification for producing more accurate results. This 24x auto level takes a single measurement within three seconds and has an internal tilt sensor that prevents the system from measuring if the user operates outside the compensator range. 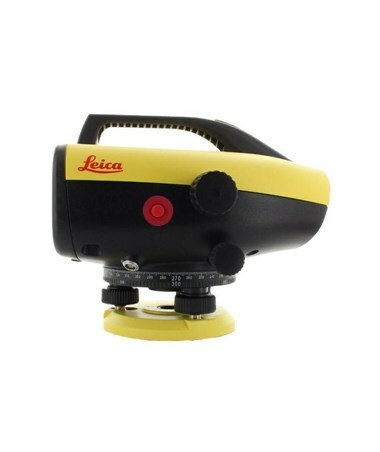 Leveling has never been easier with Leica Sprinter's easy one-button operation. The user can simply aim, focus and measure by pressing the red button and results will show on the highly visible LCD display. 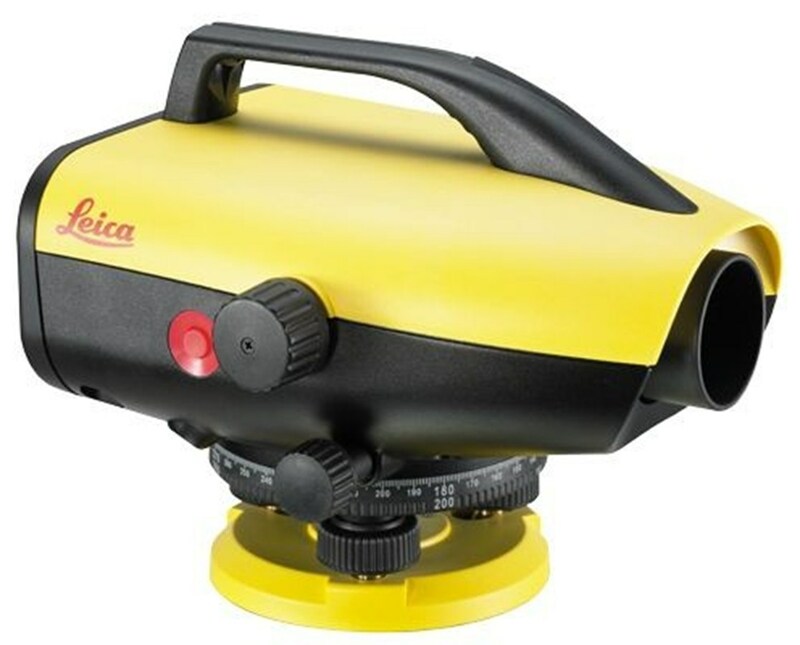 The Leica Sprinter auto level includes an onboard software application that can make the leveling experience faster and more cost-effective. With an IP55 environmental rating, this construction level is dustproof and water resistant. 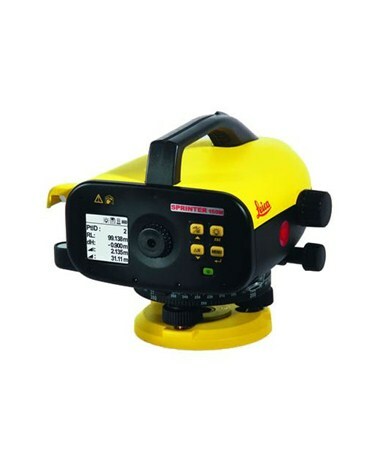 As an extra feature, it offers reliable measurement results even under low lighting conditions. The Leica Sprinter 24x Digital Auto Level offers eight models with varying features. Please choose from the drop-down menu above.